I AM BACK! I have finally, FINALLY, finished my GCSEs and I feel amazing. I'm dreading results day though. I have nightmares about seeing ungradeable for every subject. Can you imagine? 2 years studying a subject and you don't even get the grade? 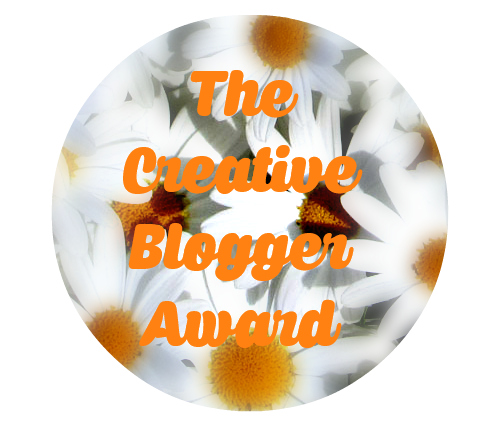 So while I was gone, I was nominated for the Creative Blogger Award by Zoe Marie! 1 | Post a link to the person who nominated you and give thanks. 2 | Share 5 facts about yourself. 3 | Nominate 10 other blogs and give links. 4 | Contact your nominees to inform them of their nomination. 5 | Provide the rules to your nominees. 1 | I am crazy - I came to this revelation recently. Not scary crazy, just crazy. You know the crazy where it just becomes one of your traits and people around laugh and accept it. 2 | My favourite song of the moment is Flashlight by Jessie J. 3 | I'm one of those people who knows that something needs to be done, but I don't do it. I see my messy room, I complain, but I don't actually do anything. Unless, I'm suddenly spurred on by an inspirational story and decide to keep it tidy. This usually lasts about half a day. 4 | Buzzfeed is my guilty pleasure. The amount of time I spend on this website is inhumane. 5 | Finally, I'm going to let you in on a huge secret. I LOVE MAKEUP! Don't get me wrong, I'm not good at it, but I still love it. I feel as if girls hide their love for it because they don't want to be classed as a Barbie and whatnot, but I am not afraid to shout it from the rooftops. Maybe I'll do a post about it someday. But, just so you know, my eyeliner is the fleekiest eyeliner you will ever see. You could stab someone with it, that's how sharp it is. Ta-ra my butterflies! I have to go and get ready for PROM! I'll make sure I post pictures! It's a good song, right? I had a really good time at prom and congratulations on your nomination. Thank you for nominating me! Have a wonderful time at prom! You're welcome! I enjoyed myself at prom!